The Little Matterhorn and Notchtop Mountain keep watch over the waters of Odessa Lake as a storm approaches. 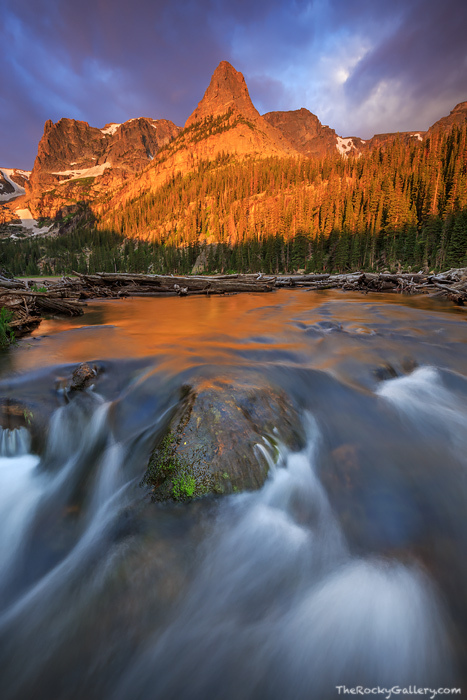 Sunlight spot lights these two beautiful peaks in the backcountry of Rocky Mountain National Park. Photo © copyright by Thomas Mangan.